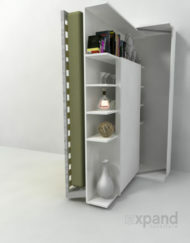 A fully closed cupboard built around a revolving wall bed. 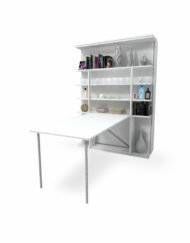 4 cupboards can be opened and closed to expose or conceal the layered shelves for storage. 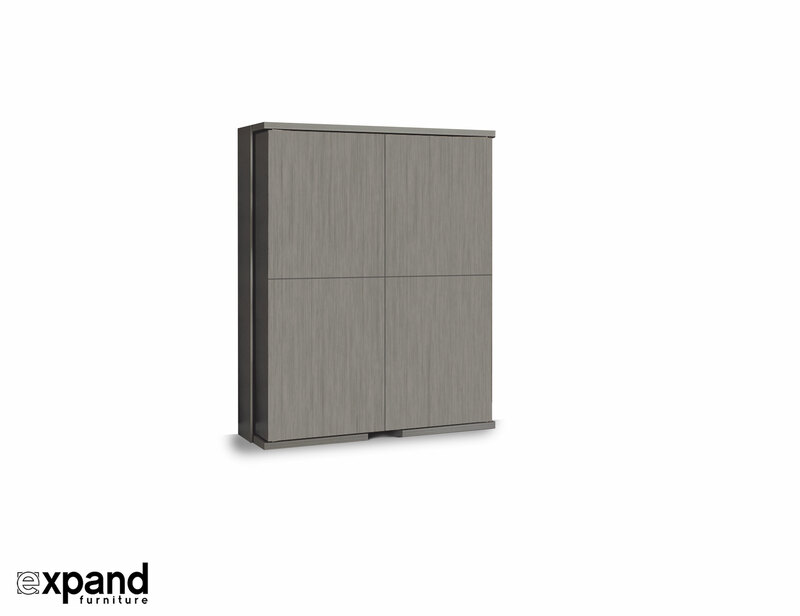 The cupboard rotates 180 degrees and the wall bed side is now ready to open into your room. 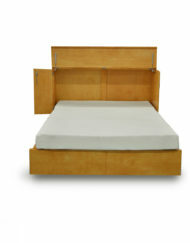 This model features a queen size bed that is strong enough to be used every day as well as for occasional guest use. 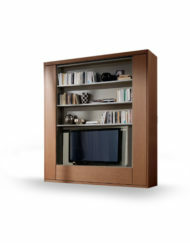 Manufactured in Italy with exceptional mechanics and beautiful design, this cupboard revolving wall bed uses the same excellent hardware as the popular Compatto Revolving Bookshelf Table model. 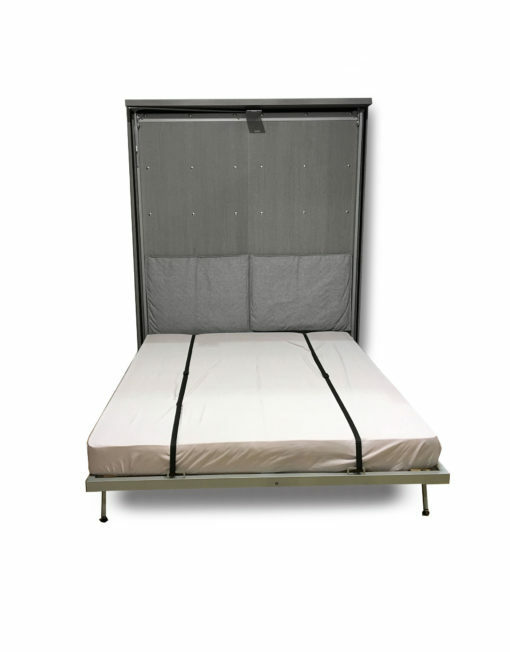 Choose up to 2 panels types for your custom order and we will have it made and delivered to you in 12-16 weeks directly into your home. 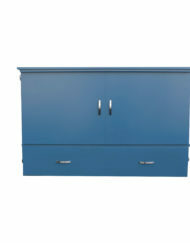 We can also build matching custom cupboards on the side, please inquire for more information. 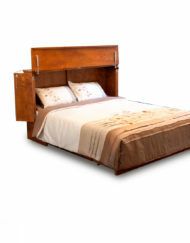 The Compatto revolving Cupboard wall bed is a great stealth option to have a queen size bed hidden in plain sight. 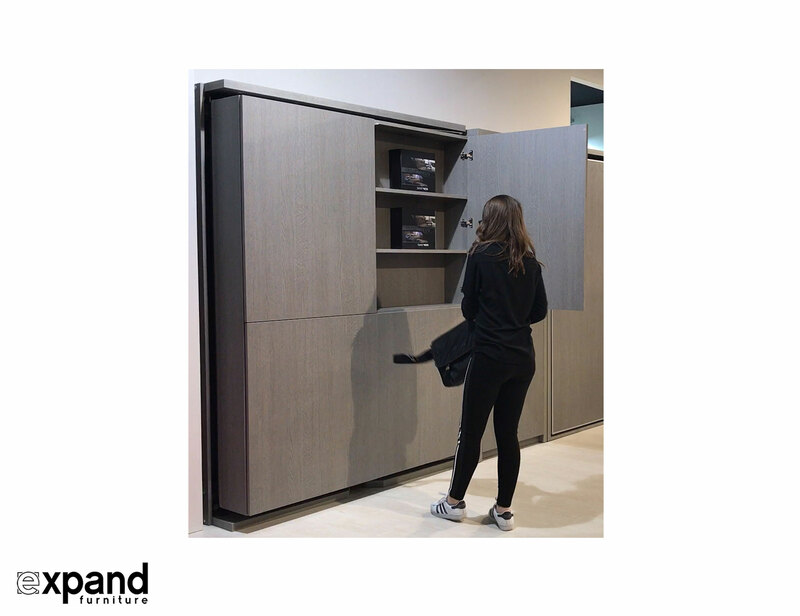 The 4 closed cupboards can open independently of each other and houses shelving for vertical storage. 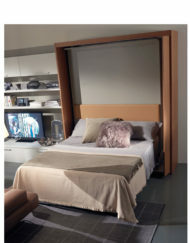 When you have a guest over, rotate the bed and lower this Italian queen bed into your room to gain a whole bedroom in your space. 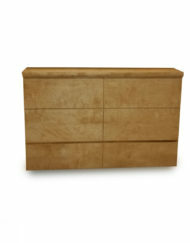 You have the choice of a variety of stunning Italian panels to complete your cupboard wall bed system. 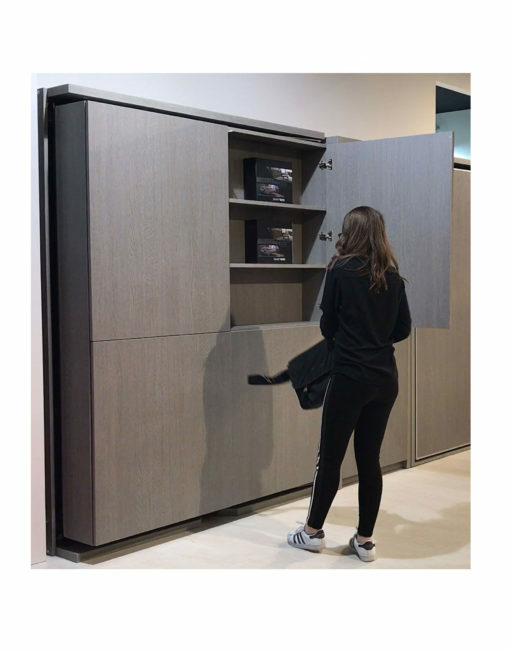 Once you place your order it takes approximately 12-16 weeks to Manufacture this in Italy and deliver this to your home in North America. 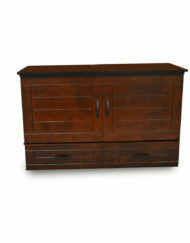 We can also build matching custom cupboards on the side, please inquire for more information. View more details below including a video of the how the system rotates. Build: Coil, Medium-firm comfort level. Made in Italy, in house brand. This is a DIY install. Homes have different wall structures and it is important to get the correct anchors for your wall. 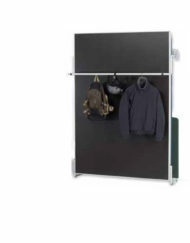 While most hardware is included in this we do require you purchase your own wall anchors for this reason. After you determine your wall type (Drywall, Brick, Concrete, Wood etc) we can advise you on anchors or you can talk to your local hardware store or have your installer advise. 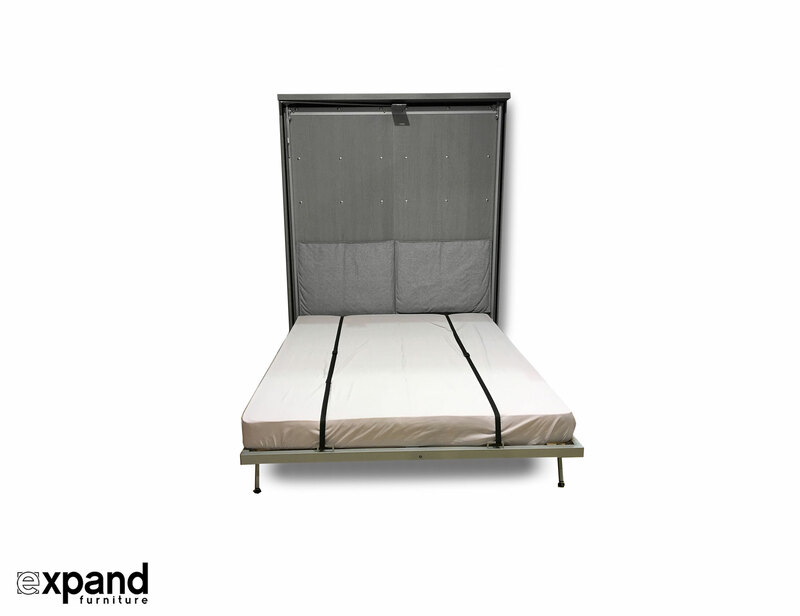 If you prefer to have a 2 tone wall bed this can be arranged, just let us know in your order notes. 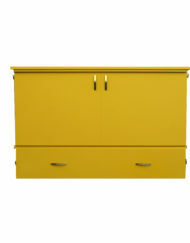 Choose 1 color for the outer frame and up to 2 colors for the cupboards. Or choose all matching. 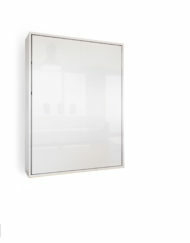 We have sample panels you can order to see physical examples. Please inquire. 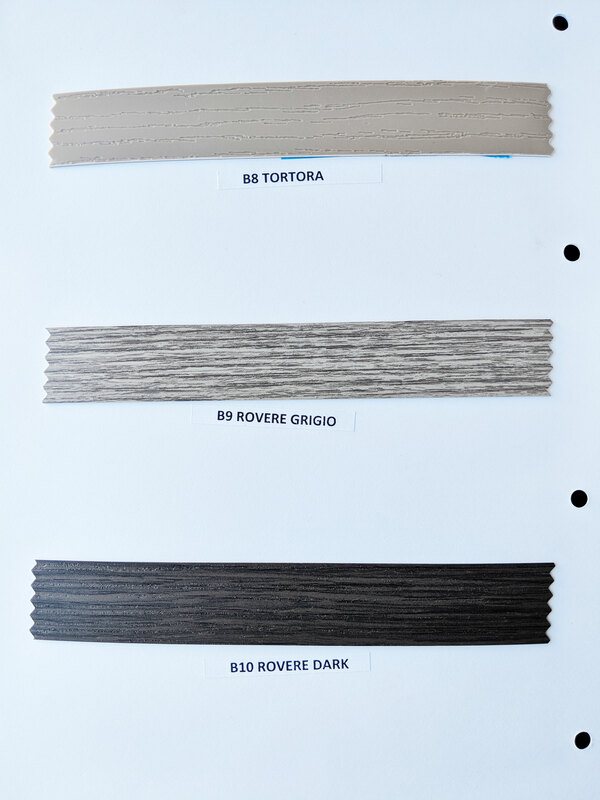 B9 Rovere Grigio is the “Grey Wood” finish. 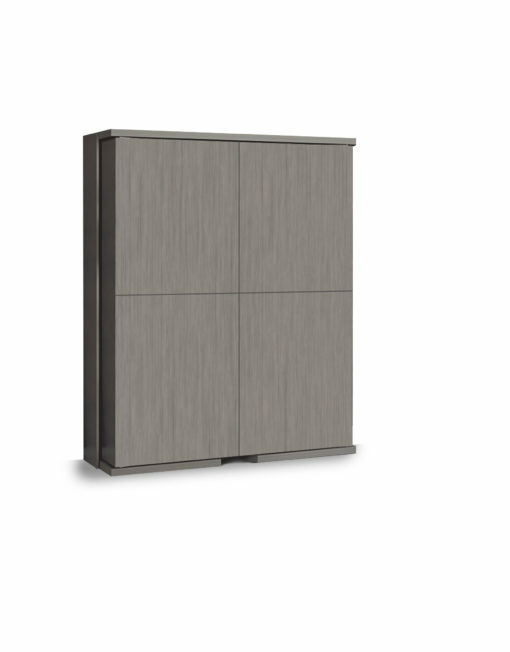 B10 is the “Dark Grey Wood” finish. B8 is a Taupe color. 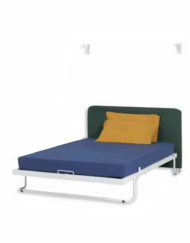 Shop for Wall beds with Tables online.